Winter is more about Christmas, Hannukah and New Year, while only being about chill and snow. With festive season being the central theme, winter influences people to decorate their homes with lights as a part of the celebrations. Light symbolises intelligence, knowledge, prosperity and goodness, which is why they have been a part of our celebrations and festivals since ages. Magik Lights understands the importance of lights and has been innovating the way people prefer to illuminate homes on any festive occasion, like Christmas. Through years we have evolved our product range to suit the varied preferences of the customers. We are one of the leading manufacturers of LED lights and are building a name for themselves in decorative LED lighting solutions as well. Our products are known for their elegance, glamour and perfect illumination. The home lighting solutions that we provide are best-in-class that can withstand the test of time and also bring a touch of luxury to the place they are installed at. Christmas is incomplete without the Christmas Tree and people take special care while decorating these. Magik Lights offers superior range of decorative lights that can truly beautify your tree with their elegance and glamour. 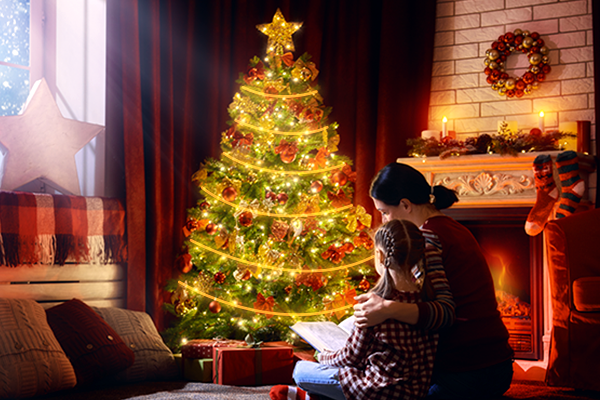 Our LED Lamp, Lilliput, can be put inside a star shaped lamp that gracefully sits on top of the tree. While our LED Strip light, Stream, can be used to decorate the branches and the base of this tree. The colour options offered by these products give you a free choice when it comes to decorating your tree uniquely. 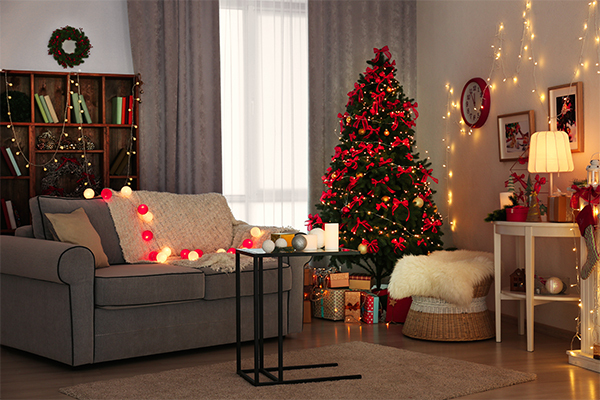 You would not want to have a dull living room that is graced by a beautifully decorated christmas tree. The exclusive range of products by Magik Lights is popular for the colours that suit every mood. Our LED lamp, Spectrum that is available in seven colours, can be used to set up the living room for all the christmas feels. We suggest you to use the right blend of warm colours directed upwards and keep the bottom side of the room relatively dark. This would make your christmas tree stand out in all its glory and prime. 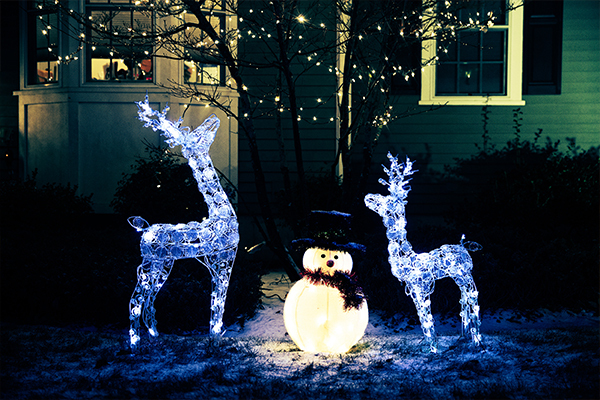 Outdoor decoration is a very important part of festivals and celebration, and Christmas is not an exception. Magik Lights is known for its exclusive range of decorative lights that can truly transform your spaces and homes into something magikal. You can use our LED strip lights, Stream, for decorating your house from the outside. The gnomes and Christmas figures can be lit up using LED Lamp – Grande, which offers a bright illumination to add beautify at night time. 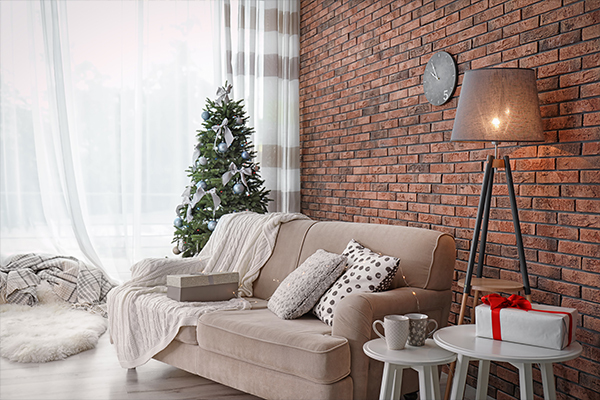 These are just some decor ideas that you can use for decorating your homes this Christmas. However, our exclusive range of LED Downlights and outdoor lighting solutions are also big on performance and can come in handy as per your need and demand. Stay Bright, Shine Like A Light This Festive Season. Magik Lights wishes you all a Merry Christmas and a Happy New Year. Good Things Come in Small Packages, Just Like Liliput!